Get some cultural insight at Queensland Museum & Sciencentre and Queensland Art Gallery. There's much more to do: look for all kinds of wild species at Lone Pine Koala Sanctuary, stroll around South Bank Parklands, take in the architecture and atmosphere at Cathedral Square, and get great views at Mount Coot-tha Lookout. For photos, where to stay, other places to visit, and tourist information, read Brisbane trip maker site . Winnipeg, Canada to Brisbane is an approximately 21.5-hour flight. The time zone difference when traveling from Winnipeg to Brisbane is 16 hours. In March, Brisbane is warmer than Winnipeg - with highs of 32°C and lows of 23°C. Finish your sightseeing early on the 1st (Mon) so you can drive to Gold Coast. 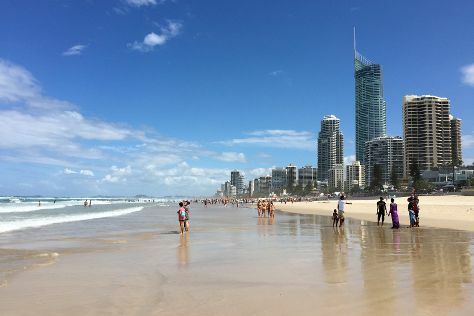 We've included these beaches for you: Surfers Paradise Beach and Burleigh Heads Beach. Visiting Coolangatta Beach and Burleigh Head National Park will get you outdoors. Next up on the itinerary: laugh and play at Sea World Theme Park, find something for the whole family at Infinity Attraction, admire the masterpieces at Watling Fine Art Galleries & Burleigh Framing, and meet the residents at Currumbin Wildlife Sanctuary. To find where to stay, reviews, and other tourist information, read our Gold Coast trip itinerary planner. You can drive from Brisbane to Gold Coast in an hour. Alternatively, you can take a bus; or take a train. In April, plan for daily highs up to 30°C, and evening lows to 19°C. Finish your sightseeing early on the 4th (Thu) so you can travel to Manly. On the 5th (Fri), enjoy the sand and surf at Shelly Beach, steep yourself in history at Vaucluse House, then learn about wildlife with up-close encounters at Taronga Zoo, and finally stroll through Nielsen Park. Keep things going the next day: identify plant and animal life at North Head Sanctuary, then tour the pleasant surroundings at Fairlight Beach, and then kick back and relax at Balmoral Beach, Mosman. To find where to stay, other places to visit, traveler tips, and other tourist information, refer to the Manly travel route builder tool . Getting from Gold Coast to Manly by combination of flight and ferry takes about 4 hours. Other options: drive; or take a bus. Expect little chillier weather when traveling from Gold Coast in April: highs in Manly hover around 26°C, while lows dip to 17°C. Finish your sightseeing early on the 6th (Sat) to allow enough time to travel to Mona Vale. On the 7th (Sun), enjoy the sand and surf at Warriewood Beach, stroll through Mona Vale Beach, and then kick back and relax at Bilgola Beach. For ratings, maps, where to stay, and more tourist information, read Mona Vale holiday planner . Traveling by car from Manly to Mona Vale takes an hour. 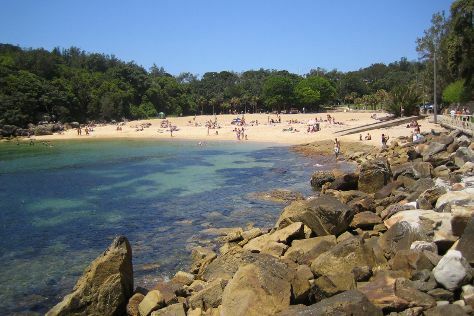 In April in Mona Vale, expect temperatures between 26°C during the day and 17°C at night. Wrap up your sightseeing on the 7th (Sun) early enough to travel to St Kilda. St Kilda is an inner suburb (neighbourhood) of the metropolitan area of Melbourne, Victoria, Australia, 6 km south-east of Melbourne's Central Business District. 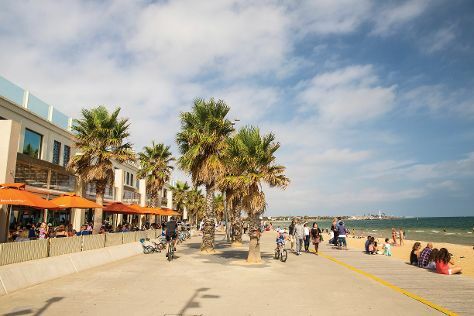 Kick off your visit on the 8th (Mon): take an in-depth tour of Jewish Holocaust Centre, then kick back and relax at St. Kilda Beach, and then meet the residents at Werribee Open Range Zoo. On the next day, examine the collection at Scienceworks, pause for some serene contemplation at Williamstown Uniting Church, and then kick back and relax at Brighton Beach. For where to stay, other places to visit, more things to do, and more tourist information, use the St Kilda online day trip planner . Use the Route module to find suitable travel options from Mona Vale to St Kilda. Traveling from Mona Vale in April, things will get slightly colder in St Kilda: highs are around 23°C and lows about 12°C. Finish up your sightseeing early on the 9th (Tue) so you can travel to Aspendale. Kick off your visit on the 10th (Wed): enjoy the sand and surf at Carrum Beach, then enjoy the sand and surf at Chelsea Beach, and then kick back and relax at Edithvale Beach. On the 11th (Thu), you'll have a packed day of sightseeing: identify plant and animal life at Ricketts Point Marine Sanctuary, then enjoy the sand and surf at Mentone beach, and then kick back and relax at Parkdale Beach. For traveler tips, maps, photos, and more tourist information, read our Aspendale vacation planning tool . You can drive from St Kilda to Aspendale in an hour. In April in Aspendale, expect temperatures between 23°C during the day and 12°C at night. Finish up your sightseeing early on the 11th (Thu) so you can travel to Port Arthur. 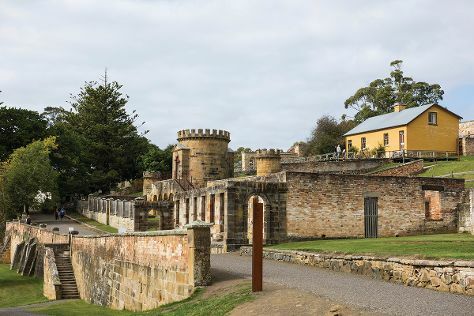 Kick off your visit on the 12th (Fri): get to know the fascinating history of Port Arthur Historic Site, then identify plant and animal life at Tasmanian Devil Unzoo, and then contemplate the long history of Australian Convict Sites. To find more things to do, maps, reviews, and other tourist information, refer to the Port Arthur trip builder . The Route module can help you plan travel from Aspendale to Port Arthur. April in Port Arthur sees daily highs of 21°C and lows of 9°C at night. Finish up your sightseeing early on the 12th (Fri) so you can go by car to Hobart. Satisfy your inner culture vulture at Cascades Female Factory Historic Site and Tasmanian Museum and Art Gallery. Get some historical perspective at Battery Point Sculpture Trail and Constitution Dock. Take a break from Hobart with a short trip to Shene Tasmania in Pontville, about 38 minutes away. Spend the 15th (Mon) wandering through the wild on a nature and wildlife tour. There's much more to do: take in the awesome beauty at Mount Wellington, admire the masterpieces at Lady Franklin Gallery, take in the spiritual surroundings of St John the Evangelist Roman Catholic Church, and take in nature's colorful creations at Royal Tasmanian Botanical Gardens. For reviews, more things to do, photos, and other tourist information, read our Hobart day trip planning app . You can drive from Port Arthur to Hobart in 1.5 hours. Another option is to take a bus. In April, daytime highs in Hobart are 21°C, while nighttime lows are 9°C. On the 16th (Tue), wrap the sightseeing up by early afternoon so you can travel back home.